Crypto Xchange is not supposed to be a real exchange for cryptocurrencies, but a trading software that allegedly wins 99.4% of all crypto trades it takes. Such a win ratio has the potential to make your very rich very quickly, but is it true? Can this free software be that good? Regrettably, Crypto Xchange is just another scam that is abusing the popularity of cryptocurrencies. 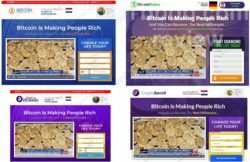 In fact, it is a clone of a famous scam that we have already reviewed several times. You could see it under names like Crypto Revolt, Bitcoin Trader or Bitcoin Money. It uses the same website and video, only the name changes. See our comparison on the picture. Because Crypto Xchange is a scam, testimonials you can see on its website cannot be real. Indeed, they are fake. 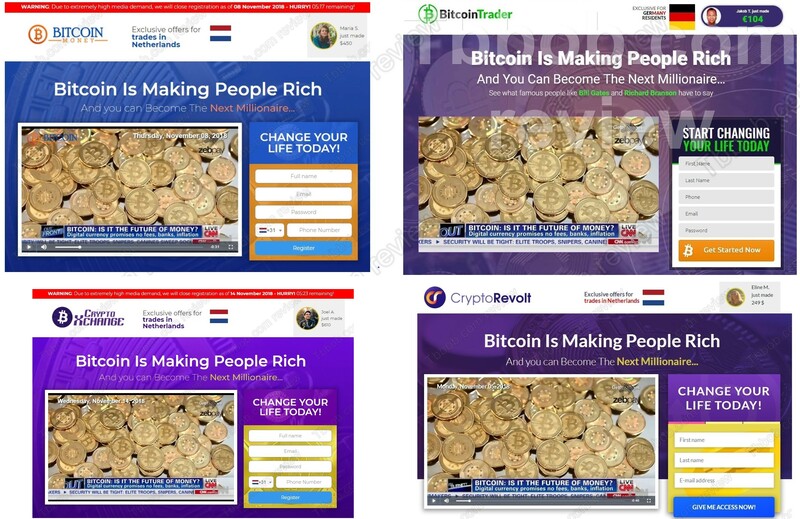 As you can see on our picture, scammers used stock photos to create these fake testimonials and reviews. 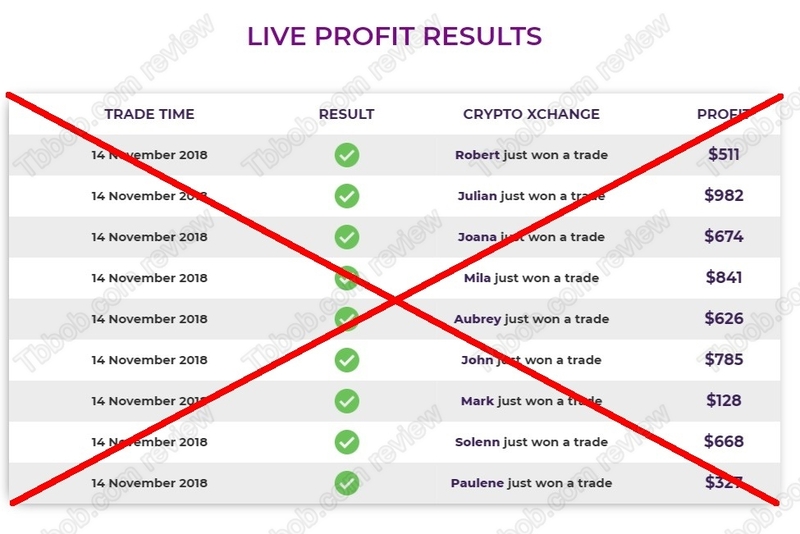 The so-called live stream of trading results you can see on the website of Crypto Xchange is of course fake too. These trades never took place, the table is just filled with fictitious data generated by a script. So, how does Crypto Xchange really work? It’s very simple. In reality it is not free, right after you register you will be pushed to deposit at least $250 with a broker that you won’t be allowed to choose. 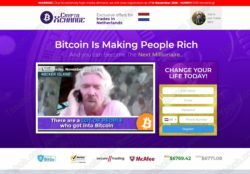 This broker will not be regulated, and it will cooperate with scammers and give them a share of the money you deposit. It goes without saying that you will never see your money again, they will want just more deposits from you. Crypto Xchange is a well-known scam with a new name, it is made to lose your money. Stay away from it! If you want to try real crypto trading to make money, start on a free demo with a regulated broker. You have things to learn and a profitable strategy to build, before you can start trading with real money.